This page shows samples of my designs that have been printed on products. 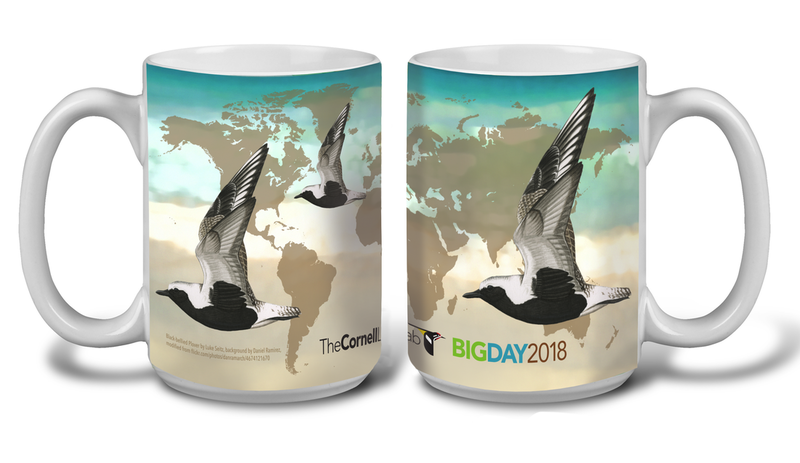 (2018) This mug was created as a collage of art from other projects (that the Cornell Lab of Ornithology had rights to use. I drew the grey trellis to match the existing positions of the birds' feet, and to allow the birds to sized somewhat proportionally. (2018) This striking mug was created using an original drawing of a Black-bellied Plover from a student artist created for this project, a computer-generated map outline, and a creative-commons image that allowed alteration. The image suggests the bird's habitat and worldwide distribution. 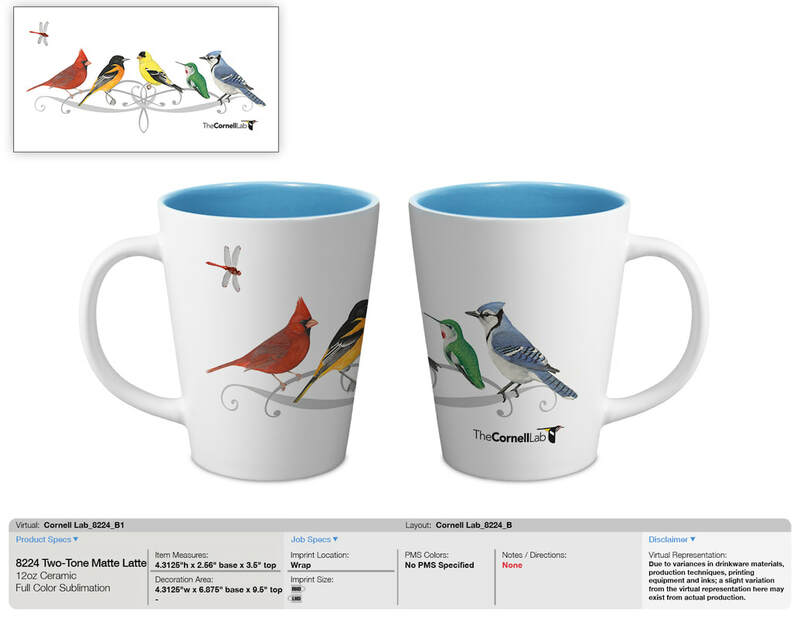 (2013) This mug was designed as a membership premium for the Cornell Lab of Ornithology. A student art intern created the original watercolor. For this mug, the name of the organization is seen whether one holds the cup with either left or right hand. 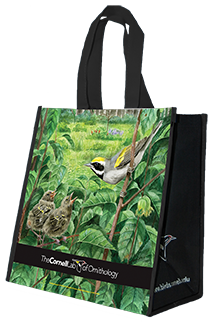 (2014) This totebag is another membership premium designed for the Cornell Lab of Ornithology, with art by a student art intern. The mockup was made by photographing a sample bag, and then mapping the original art to the sides and front using Photoshop. 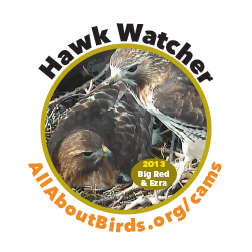 (2013) These designs were created for Cornell Lab of Ornithology BirdCams mugs (left) and T-shirts (right). 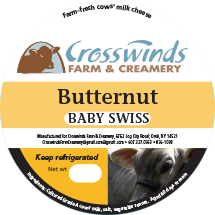 (2014) A label designed for Crosswinds Farm & Creamery cheese products.